"The competitive advantage is what you do with the talent once you have it." Over the past two decades, business leaders and HR professionals have gotten wrapped up in the war for talent. 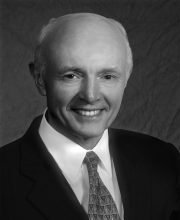 However, in their book Victory Through Organization, authors Dave Ulrich and Wayne Brockbank (and Mike Ulrich and David Kryscynski) show that really winning the war for talent involves much more than selecting the most skilled employees. It requires that an organization turn those employees into organizational capabilities. In the shift to an information economy, HR has gone from playing a transactional role to being a foundational part of every business. The impact of an organization is many times more than the sum of their parts, and it’s the same with HR departments. So the authors outline both organizational and individual HR practices that have the most impact on personal effectiveness, stakeholder outcomes and business results. Based on over 30 years of research and advising hundreds of companies, they describe the key elements of the most effective HR departments. "HR is not about HR, but about delivering real value to the business." Thriving companies use organization to create and take best advantage of talent after hires are made. Nurturing a staff culture that will be most beneficial to the organization’s customers, and managing effective employee development and recognition are part of what it takes. However, along with these organizational competencies, HR professionals as individuals need to devote attention to their less obvious, but extremely valuable, roles. These include being a Strategic Positioner, Credible Activist, and Paradox Navigator, and are required so that HR can have the influence it needs to deliver value to the business. Strategic positioner – position a business to win in its market. Credible activist – build relationships of trust by having a proactive point of view. Paradox navigator – manage tensions inherent in making change happen (e.g. be both long and short term, be both top down and bottom up). Culture and change champion – make change happen and weave change initiatives into culture change. Human capital curator – manage the flow of talent by developing people and leaders, driving individual performance, and building technical talent. Total rewards steward – manage employee wellbeing through financial and nonfinancial rewards. Technology and media integrator – use technology and social media to drive high performing organizations. Analytics designer and interpreter – use analytics to improve decision making. Compliance manager – manage the processes related to compliance by following regulatory guidelines. When HR is more integrated with the business of the organization, teamwork often achieves more than the best talent. If the focus on talent is overemphasized, it can reduce HR’s ability to impact business performance. Even the most brilliant and apparently self-made entrepreneurs had significant organizational nurturing early in their careers. "As HR professionals master paradox navigation skills, they will have more influence and add more value." Out of the nine critical HR competencies, the role of Paradox Navigator was most closely tied with business performance. Yet this is an area where many HR professionals were lacking expertise. Dealing with cognitive complexity is the top skill that helps to transcend paradox. Cognitive complexity involves seeing different sides of an issue, respecting other people’s point of view, learning new ideas (20-25% every 2 years), and seeing patterns in events. The authors have coached HR professionals to identify and list the paradoxes facing their organization, and then meet with people who represent each side. They recommend analyzing the ways competitors deal with paradox. Plus, any life experiences that involve solving problems with a group (e.g. starting a community garden) or bridging between two poles (e.g. teaching residents of a long-term residential living facility about technology) function to prime your mind for navigating paradoxes. See others’ points of view – how do others experience the paradox? Find common ground – where do we agree and disagree? "High potential individuals are interested in on the job assignments that are challenging and valuable … because they want to create a track record of documented results." Using employee involvement to improve staff performance takes an organizational approach to the pervasive problem of low engagement. The goal is to move from cynicism to commitment, isolation to community, and for employees to have a sense of purpose and social responsibility in their work. Initiatives like letting employees choose their next project and being more involved with staffing issues have a positive effect on employee performance. Company-specific case studies are being used in training so that employees have more organizational knowledge, instead of generic knowledge that can more easily be used to move outside the organization, which leads to less turn over. One of the most interesting ways companies are involving employees is by connecting them with customers for feedback. This could mean having employees listen to customer service calls, engaging more employees in market research and social media, having customers visit the company’s office, having customers participate in employee training, and even locating employees to work out of a customer’s facility. Measuring employee performance from an organizational perspective means focusing on organizational-wide talent data, as well as individual data. For example, to measure recruitment, you can look at what percentage of hires remain after two years. To measure development, look at what percentage of promotions come from inside vs. outside the company. To measure succession readiness, look at what percentage of employees know the company’s mission, long-term goals, and business strategy. Victory Through Organization gives HR professionals the tools they need to learn how to align their practices with an “outside in” focus, where staffing, performance management, training, and culture result in the most value for the customer. Having top talent is great, but if HR departments aren’t organized in a way that maximizes people’s skills and strengths, companies are missing out on one of their best opportunities. 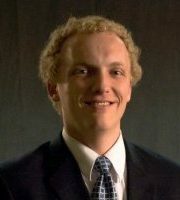 David Kryscynski is an Assistant Professor of Strategy at Brigham Young University’s Marriott School of Management. 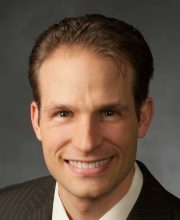 Mike Ulrich is Assistant Professor of Business Management at the Huntsman School of Business, Utah State University. 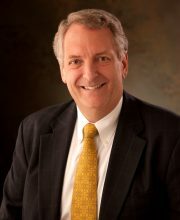 Wayne Brockbank is a Clinical Professor of Business at the University of Michigan’s Ross School of Business.